I’m out and about right now and of course I’m on the lookout for some interesting and delicious coffee. I’m in Hilo on the Big Island of Hawai’i. 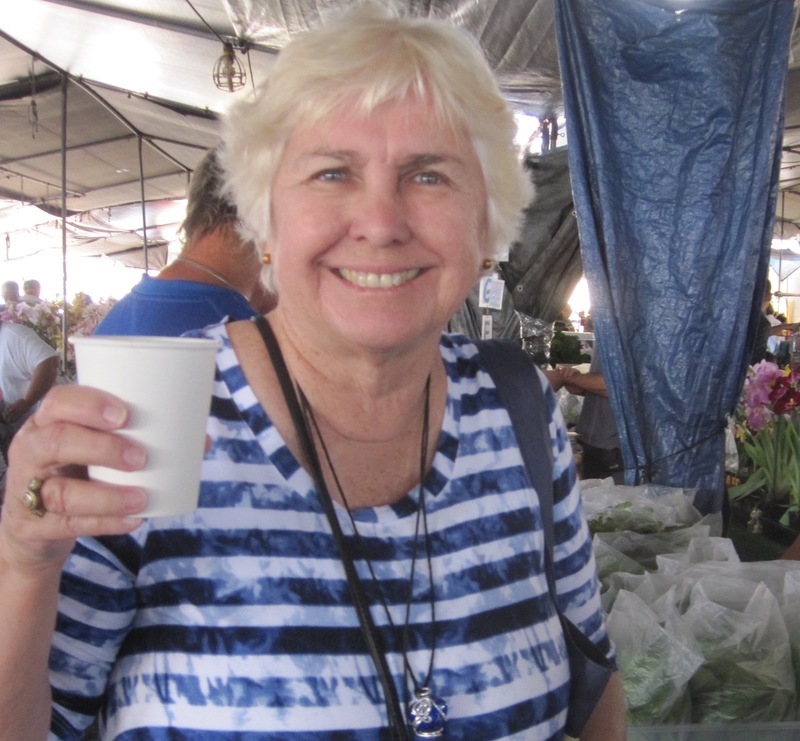 I know you’ve probably heard of the deliciousness that is Kona coffee. But, have you heard of Ka’u coffee? In Hilo we made a joyful stop at its farmer’s market. Four delicious papayas for $1 and we’re feeling quite happy. We found a couple of vendors selling Ka’u coffee. We had a sample, then a cup, and we were sold. We discovered Sharks Coffee at the farmer’s market and found they also grow macadamia nuts and make their own chocolate. We heard it pairs well with coffee, but we’re thinking it will also pair with a glass of red wine for later in our trip. The company offers From Tree to Cup coffee tours as well as chocolate tours including a chocolate making class. Their farm is located in the Papaikou area of Hilo. Learn more about them at http://www.hilosharkscoffee.com/. This new info makes me want to schedule another trip to the Big Island soon! This entry was posted in award winning coffee, Hawaiian coffee, Ka'u Coffee and tagged Hawaiian coffee. Bookmark the permalink.